I bought this website on June 2nd 2016. Site paid for itself in first 8 months – after January 2017, it’s making net profit, and has virtually no expenses except for Hosting and Domain Registration. I can list many other metrics, but you get the picture. On average, stocks are up 7-15% YoY. So if you invested $10000, your portfolio went up to $10700-$11500 in value, and you may have earned some dividends – say another $500. Let’s bring everything to the same level and pretend that my site’s price was $10K and therefore 1 year income was $13800 (138% Annual ROI). Now I have wholly recouped my investment, and made 38% net profit. So on average I beat the stock market by 10 fold! Now because in this example you are not selling your stocks and I’m not selling my site, all thing are equal. If I were to sell my site at 20-25 months of income valuation at $750/month I would get $15000-18000 + all the income the site has earned (about $10400 as of Jul 5th, 2017). So I would be at $25000-$28000, with about $20K net profit or 350-400% ROI. We can spin and slice this every-which-way – but the picture is clear – my investment has outperformed dow by about 10 times! As mentioned in my post from 1 year ago, I figured early on that most of site’s traffic is mobile, and was severely underperforming, because it was setup with Google’s Responsive Ads. When I added my mobile user detection, and showed AdSense ad units that perform the best on mobile devices, by income increased by 104% in the first month ($327 in 31 days VS $617 in 29 days). After that, I fine tuned ad placements, to get marginal improvements, and site traffic has grown. So after 3 months, my income went from $317 to over $1000 per month in Sep 2016. After that, it has been a roller-coaster, as my site lost rankings due to some unexplained Google update in Feb 2017. However it has stabilized, and site now sits at about $750-800 per months. Sure it’s a decrease, but I’m not worried. Every dollar it makes as a NET Profit, and I don’t do anything. I literally have not updated the site in 7 months! All I do is login once every 2-4 weeks to check the stats and approve/respond to comments. This is a truly hands-off business. Should you invest in websites? Answer is NO and YES. I put NO first on purpose. Most people are not prepared to buy sites. If you have never owned a site – you should either start your own SELF HOSTED blog/site and build up some experience running and managing it. Then apply to AdSense program, and see how you do monetizing it. There are many great tips on my blog. Don’t jump into buying sites. There are MANY scammers and 95% of all sites for sale are garbage. Finding the good 5% is a true art, and you cannot be learned overnight, or without experience in verifying traffic, income, vetting the seller, and know how to transfer site content + domain, without losing traffic in the process. If you are an experienced website owner / webmaster / blogger, but have never bought a site before – start small. I’d recommend spending no more than you can afford to lose AND no more than $1000 on your first 2-3 sites! Also don’t buy too many sites, too quickly. You can run into a million different issues and problems. 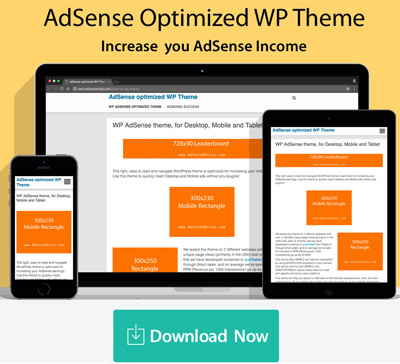 MOST IMPORTANT – Cherish and respect Google and it’s AdSense program. For me – even a very promising site that can potentially get my AdSense account banned is an NO GO! 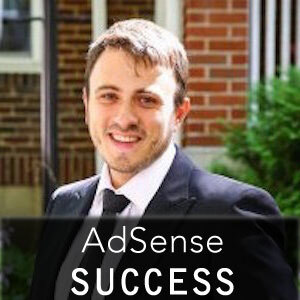 If you lose you AdSense account, you will probably never get it back. Just imagine spending $10000 on a site and getting suspended by google – you will immediately and (most likely) lose ALL earnings from AdSense, and alternatives make less than 25% of what google pays! What I invest on spending my budget on the backlinks? will it be bad?